Amelie Poulain has led a sheltered life - educated at home by over-protective parents, she retreats into a fantasy world of her own. When she finally leaves home and finds work as a waitress in a Parisian café, life is pretty uneventful until a chain of extraordinary events leads her to the discovery of a tin box containing a schoolboy's long forgotten mementos. 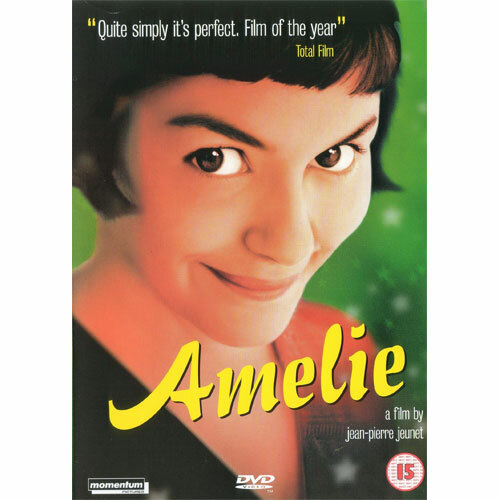 It is then that Amelie discovers her true vocation in life - helping others find love and happiness - which she sets about in her own unique and magical way. When Amelie falls in love herself, she realizes that making neat solutions is not as easy as it seems..
Amelie is rated 15. The soundtrack is in French, with English subtitles.